I was wrong, and The Department of Justice approved the “merger” between US Air and American Airlines yesterday. Even though this is referred to as a “merger,” it is really US Air and their management team taking over American Airlines and keeping the American Airlines name. US Air Gets the Okay to Take Over American Airlines. This is very similar to when Continental took over United Air and kept the United name. I’m personally not a fan of the merger. It almost certainly means higher prices for air tickets and reduces the incentive for the merged company (as well as other airlines) to have a good frequent flyer program. The settlement also says that the airline will maintain their current hubs for 3 years in Charlotte, New York (JFK), Los Angeles, Miami, Chicago (O’Hare), Philadelphia, and Phoenix. After 3 years, all bets are off and you can certainly expect some of the East Coast hubs to lose flights. That’s because the combined airline can make more money by closing some of those hubs and forcing folks to connect in other cities. So what does this mean for our miles and points? Barclays currently issues the US Air credit card. The best current offer is for 35,000 US Air miles after your 1st purchase and which waives the 1st year annual fee. This is a better offer than the link which pays me a commission (click the link to compare offers, but do NOT apply for this version), but which offers you only 30,000 miles and does NOT waive the $89 annual fee. This card is unlikely to be around in the next 12 months so you may as well get 35,000 US Air miles now, which will eventually become American Airlines miles. US Air is currently a member of the Star Alliance (the same alliance as United). 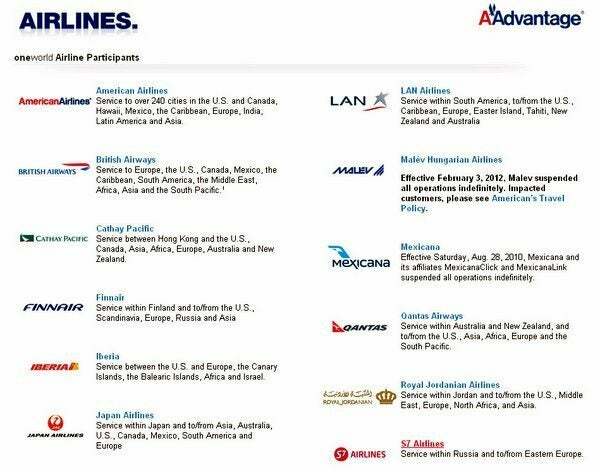 But US Air will leave the Star Alliance very shortly and joint the Oneworld alliance which includes American Airlines, British Airways, Cathay Pacific, etc. During previous mergers, for example between Continental & United or Southwest & Air Tran, you were able to transfer points or credits between the merging airlines. Similarly, for a limited period, you may be able to transfer your US Air miles to American Airlines miles or your American Airlines miles to US Air miles. I’ll keep you posted if this happens! 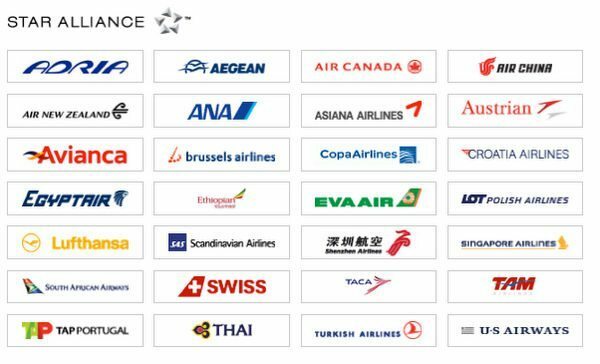 If you want to book awards to Europe or Asia, book them now while US Air is still part of the Star Alliance. That’s because the Star Alliance usually has more award seats to Europe (and no fuel surcharges) and to Asia. If you want to book award seats to South America, wait until you can transfer your US Air miles to American Airlines miles or until US Air is part of the Oneworld alliance. That’s because American Airlines has better award availability to South America. You also have a short period of time to take advantage of some of the great redemption options with US Air miles, such as being able to fly to Asia with a stopover in Europe for only 60,000 miles in coach, 90,000 miles in Business Class, and 120,000 miles in First Class. You can use British Airways Avios for short-distance flights within the US. This is a great deal on some flights, because you pay less when you use British Airways miles than when you use other airlines’ miles. For example, it is only 4,500 British Airways miles for a 1-way award from Kansas City to Chicago on American Airlines. But that same flight would cost 12,500 miles if I had used American Airlines miles. Once US Air and American Airlines combine, you will be able to use your British Airways Avios points on additional flights which are currently operated by US Air. Expect higher prices and a less generous frequent flyer program in the long-run because of US Air acquiring American Airlines. But in the short-term, you can stock up on 35,000 US Air miles, which will eventually become American Airlines miles. Question-if I have mid tier status in both AA and USAIR, should I pick one and use that number exclusively?? @Ann – There are reports that seat selection etc. privileges aren’t possible to make online if you use, say, US AIR number on an American Airlines flight. So I’d use both numbers as the miles will eventually get pooled. You recommend getting the Barclays US Air card now, but what about the Citi Platinum Select AAdvantage card? Didn’t United introduce a new card (Explorer) with a new signup bonus after the merger with Continental? Do you expect the same to happen here, or do you expect Citi to continue offering the same AAdvantage card (and therefore no new signup bonus)? @Dylan – It is very possible and I wouldn’t be surprised if Citi introduces a new card. Since the annual fee is waived for the first year, and this card will likely not be around in the next 12 months, does this mean that there will be no annual fee to pay? What will happen to cardholders? Will it be transferred to an AA card? Thanks. @j pile – Search on the United website, write down flight information and then call US Air to book. @David – It means that Barclays could transition you to a Barclays Arrival card which will have a fee after the 1st year. Trying to get award flights from Dulles to JNB in July on SA airlines via my US Air dividend miles. July 11th and return on the 23rd, any suggestions to get biz class award seats? Not seeing any availability on the website and talked to an agent last night. Help?